Join ViolMedium in Façades & Duplicities, a multidimensional exploration of the rich harmonic, timbral and dramatic potentials offered by violas da gamba! 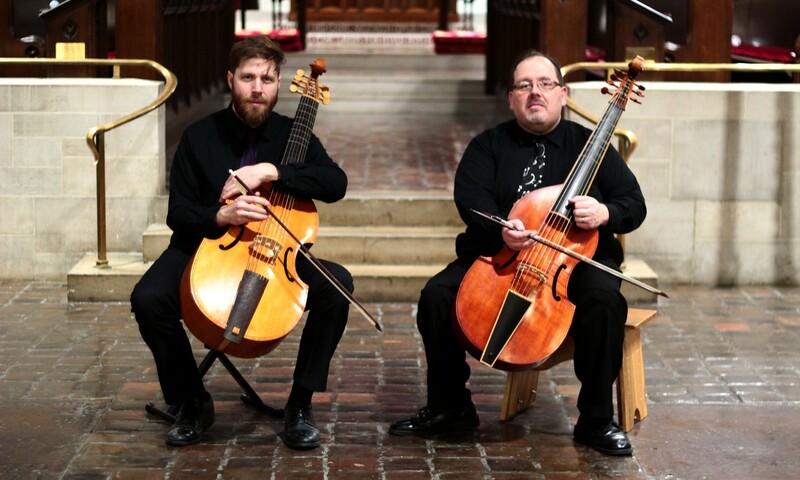 The viol is the medium through which gambists Eric Miller & Phillip Serna bridge contemporary & historically-informed performance in experimental and innovative programming exemplified in masterworks by Abel, Bartók, Finger, Marais, Sainte-Colombe, Schaffrath & more! The Noontime Series at the Baroque Room & Unitarian Society are free & open to the public. All other performances are $20 General Admission, $15 Seniors, $10 Students, Free Under 18. Ticketing options will be available soon.